Pancakes. They’re a breakfast classic. You see them on just about every breakfast menu you’ve ever looked at and for good reason. But sadly they are not low carb, even in the slightest. So what if I told you that you can have your pancakes on a low carb diet and eat them without feeling guilty? With these Keto Silver Dollar Pancakes you can do just that. Pancakes are as much of a breakfast staple food as bacon, eggs and orange juice. They’re delightfully warm, fluffy, delicious and are great a la carte or paired with other breakfast staples. But being as the main ingredient is typically flour, they aren’t the most practical breakfast option for someone on a low carb diet. 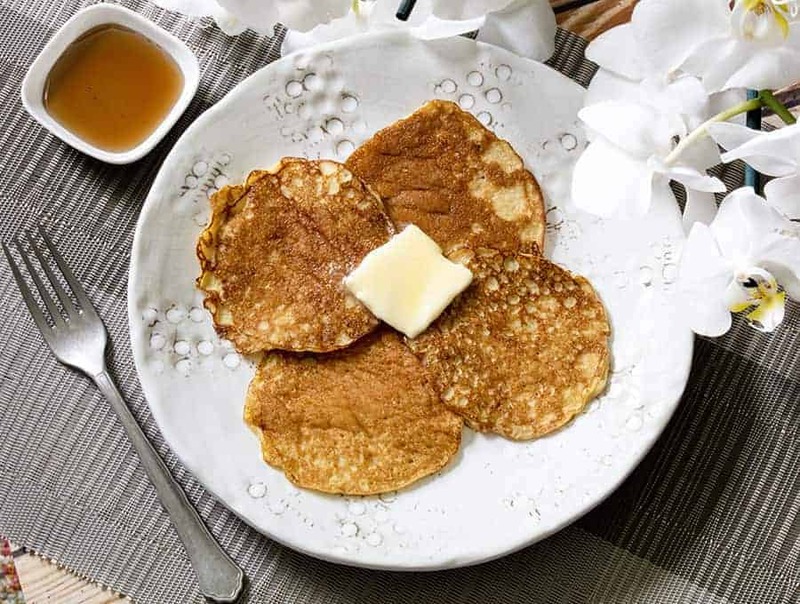 Enter these delightfully low carb Keto Silver Dollar Pancakes. They give you all the fluffy scrumptious-ness you’ve come to expect from a pancake without all those daunting carbs. 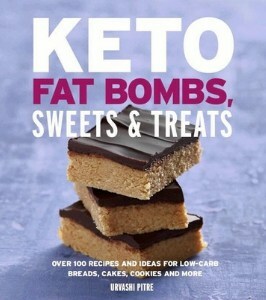 Aside from being low carb they’re easy to make as well. They’re actually no more difficult to make than standard pancakes. Just mix all the ingredients together and pour them into a pan. Simple, painless and oh so tasty! 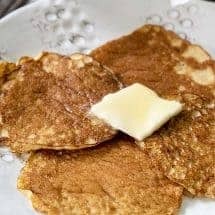 Can You Freeze these Keto Pancakes? You know, I would not. I would also make them silver dollar size because I don’t think they’ll hold together quite as well if they’re bigger. They’re very delicate actually. Kinda like a delicious cross between a crepe and a pancake. So the smaller size works out really well, and they’re super tasty in those little bites. Besides, you can always use that as an excuse to have more pancakes! Another great keto breakfast option is my Keto Orange Scones recipe. They give you all the flavor of a fancy coffee shop scone without all the carb content! 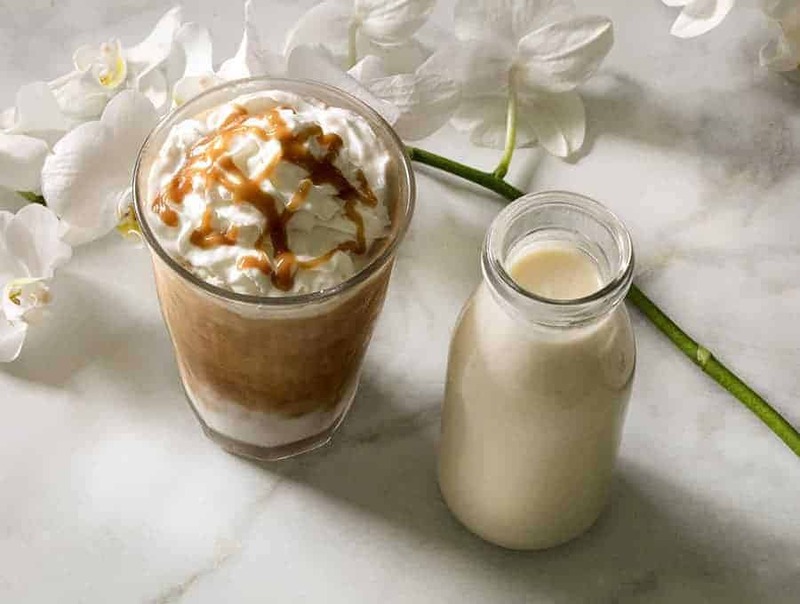 And why not wash it all down with a delicious Keto Iced Caramel Macchiato? It’s delightfully sweet while keeping it low carb. With all these tasty yet low carb breakfast options, you’re well on our way to a full out keto breakfast feast. 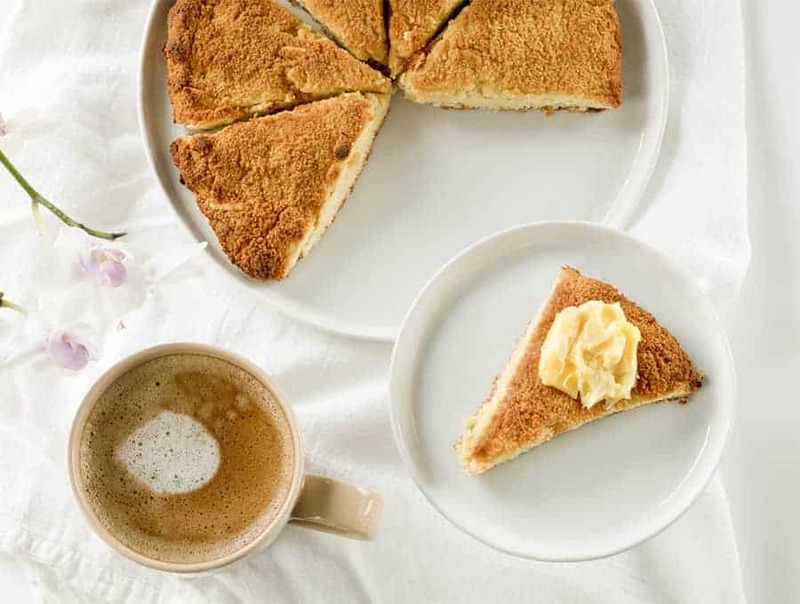 Grab yourself some Keto Silver Dollar Pancakes, a keto Orange scone (or two) and pour yourself some Keto Iced Caramel Macchiato to wash it all down with. It’ll be a low carb breakfast you won’t soon forget! These Keto Silver Dollar Pancakes are a fantastic low carb spin on a breakfast time classic. They're as easy to make has regular pancakes without the carbs! Place ingredients in a blender jar in the order listed. Blend until you have a smooth, liquid batter. Heat a nonstick saucepan on medium-high heat. Spray with oil or butter. Place 2 tablespoons of batter at a time to make small, dollar pancakes. This is a very liquid, delicate batter so do not try to make big pancakes with this one as they will not flip over as easily. Cook each pancake until the top of the pancake has made small bubbles and the bubbles have disappeared, about 1-2 minutes. Using a spatula, gently loosen the pancake, and then flip over. Make the rest of the pancakes in this manner and serve hot.